I’m going to share with you request desktop sites for Safari and request desktop sites for Chrome on iOS iPhone and iPad. The guide is useful for all iOS 12 supported devices involved iPhone 5/5S/Se, iPhone 6/6 Plus, iPhone 6S/6S Plus, iPhone 7/ 7 plus, iPhone 8/8 Plus, iPhone X, XS Max, XS, XR and iPads. Step 1: Go to Safari on iPhone or iPad and Open it. Step 2: Now, Open any of a website within the browser. Step 3: Here, I opened msn.com. See below image for iPhone safari view. There you can see less and compressive view of options and contents compare to the desktop screen. Step 5: The website will reload once again, and you can see the desktop view on the internet site from your safari browser. Type Google.com in Browser, Launch Web page on Browser, First time it views in Mobile theme. 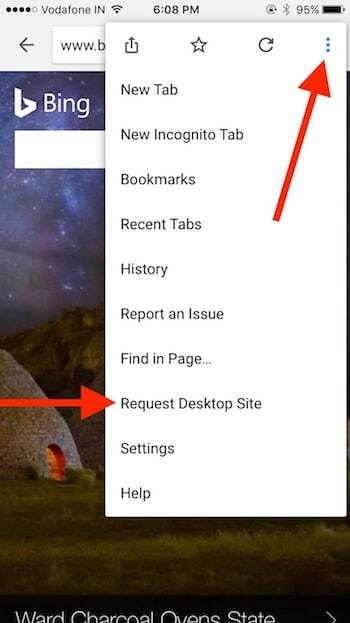 After that tap on Chrome Settings at upper left corner. From menu > Request Desktop site. Desktop view very useful for Browse image and Other Options: Reverse image search on iPhone. Still, there is no other choice for the revert from desktop view to mobile view on Safari iPhone or iPad with iOS. But you can do that with clearing cookies, cache stored on the browser as a cache. Don’t want clear all cache but you need to delete for selected website’s data. Go to the Settings > Safari > Advance > Website Data. See the list of URL’s you visited on safari browser. From the top right corner, Tap on Edit. Next, Tap on the red icon and Delete data. Then go to Safari and re-visit the same website. Now you are switch back into mobile view after mobile view website in desktop view Safari iPhone. Great options for seeing blocked content on website view that’s not visible in the desktop view. 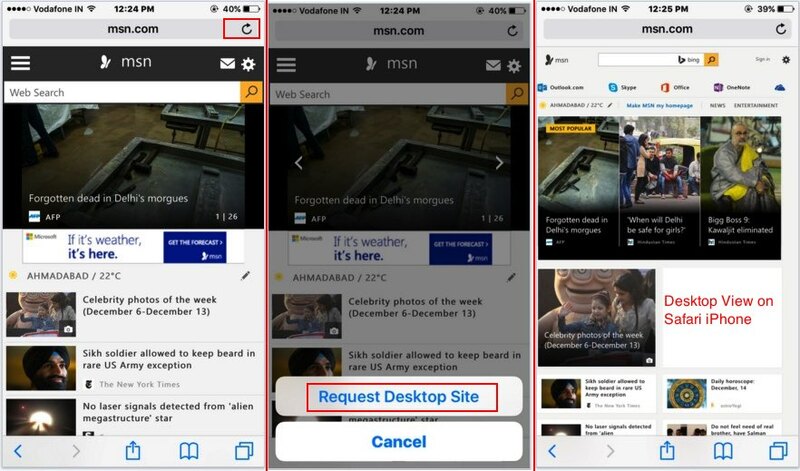 Any query on view mobile website in desktop view, Share with us.